"Our family has been going to Dr. Burrow for several years now. He is a great dentist! My kids have never had cavities and he is great with preventive care! He has a common sense approach to dentistry and our family is very happy with his care!" 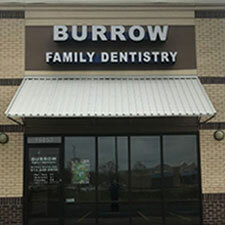 Dr. Burrow is an exceptionally talented dentist. He has been my dentist for many years and I am extremely pleased with all services he has provided,including replacement of my veneers. He obviously loves his career, as he demonstrates kindness and dedication to all of his patients.